As reported by USA Today, Norwegian Cruise Line will soon be taking about 2,200 nerds on the first officially licensed Star Trek cruise. There have apparently been other Star Trek-focused fan cruises in the past—some of which probably just involved people talking about their favorite episodes while out at sea—but this will be the first time a ship has actually secured the rights to the original series and its various spinoffs and movies. Not only that, but a bunch of actual Star Trek people will also be on board, unable to escape from any particularly pushy fans. These include The Next Generation’s Marina Sirtis, Jonathan Frakes, and Denise Crosby, Voyager’s Robert Picardo, Deep Space Nine’s James Darren, recurring Star Trek nuisance John de Lancie, and even William Shatner himself. 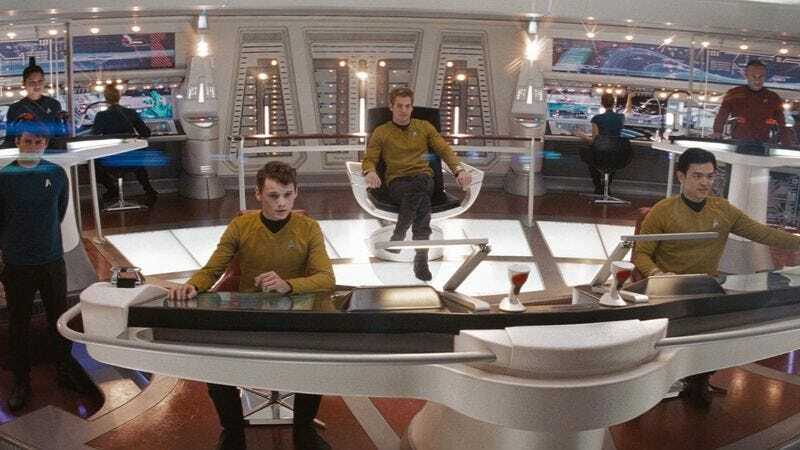 Also, in what we can only assume is a reference to that Futurama episode, the ship will also feature recreations of some iconic Star Trek sets. The trip will leave from Miami on January 9, 2017, and it’ll make stops at Cozumel, Nassau, Norwegian Cruise Line’s private island, and the planet Vulcan. No, just kidding. This cruise will take place in the new Star Trek continuity, so Vulcan no longer exists. Tickets will cost $975 per person, which comes out to about 6,000 Federation credits.